I've been slack when it comes to writing, especially when it comes to writing about our travels. So here's what we did in February. This year it has been our intention to start traveling around Australia, but so far we've had commitments in Southeast Queensland to keep returning to, and so we've gone on excursions of less than a month, each time returning for whatever commitment we needed to go back for. Our February trip saw us travel North to 1770 (yes that's a town) with our main goal to see the baby turtles hatch from their nests and head out to sea. This seasonal event happens for a few months every year and can be easily witnessed (bookings essential) at Bargara. 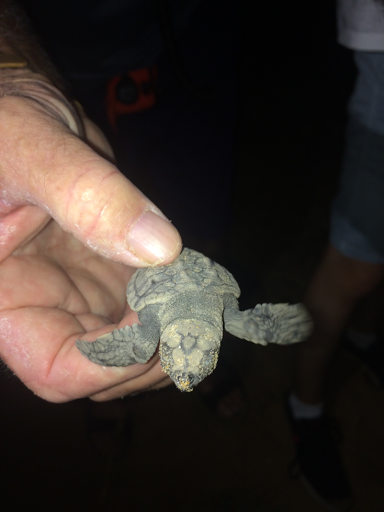 It was a marvellous experience, the region is best known for loggerhead hatchlings, but we witnessed the hatching of Flatbacked turtles which are endemic to Australia. In this trip we also made a day trip to see the Great Barrier Reef at Lady Musgrave island, taking a boat from Bundaberg. That was a good trip, but although the Reef snorkelling was wonderful I most enjoyed the walking tour in the island where we learned about trees that kill birds for food. I'm not going to explain this, you should do the tour. At 1770 we did a LARC tour. 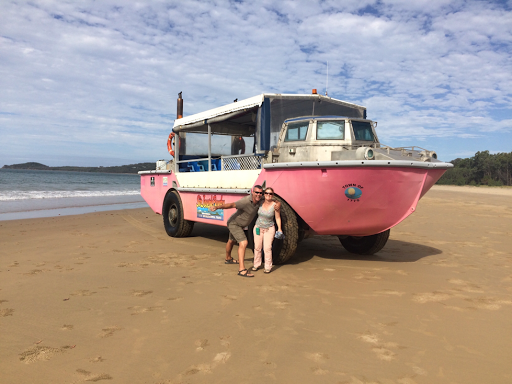 That's a pink amphibious vehicle, traveling on land and water. We enjoyed it so much that when we're next in 1770 we hope to do their full day tour. 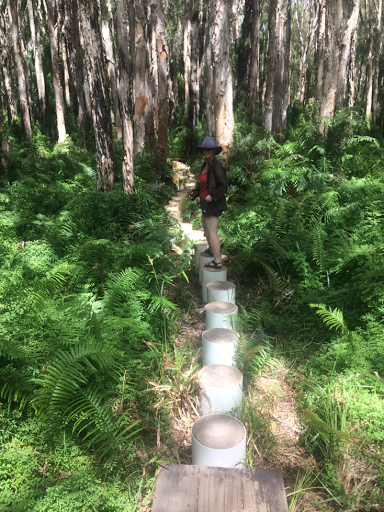 There's also a nice Paperbark forest walk, at Agnes Waters (near 1770). That pretty much summarises our February trip.